Canada Real Estate Forms and Contracts. Drafted by Lawyers. Real Estate transactions are often the largest and longest-lasting an individual or business may enter. 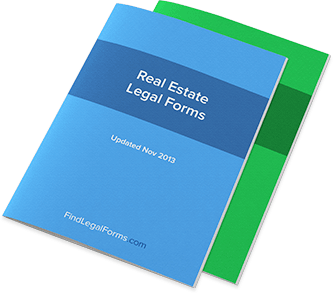 These Real Estate forms include all those you will need for the sale, purchase or management of your real properties. Real Estate related agreements, assignments and contracts, including land sale contracts, deeds and more. Also included are contractors agreements and release and discharge agreements relating to real estate transactions. Agreements for use when buying and selling real estate. Agreements and forms necessary for conducting real estate transactions that do not involve a broker. Construction-related forms which include General Contractor and Subcontractor Agreements, Construction Agreements, Proposals, Waivers, Releases and Mechanic's Liens. Notices for use in conjunction with real estate transactions. Agency Agreement for Sale of Property - Fixed Commission (Canada) Agency Agreement for sale of property with fixed commission. Agency Agreement for Sale of Property - Variable Commission (Canada) Agency Agreement for sale of property with variable commission. Agreement to Pay Commission (Canada) Agreement by which a seller of a property agrees to pay commission to a person who procured a buyer for the property. Assignment of Purchase and Sale Agreement (Canada) Assignment of Agreement of Purchase and Sale by a purchaser of a home. Consent of Seller to Assignment of Agreement of Purchase and Sale (Canada) Consent of a seller of a property allowing the buyer to assign the purchase and sale agreement to a third party. Letter to Seller Terminating Transaction (Canada) Letter from a buyer of a property to the seller of the property terminating the transaction for cause. Mutual Release and Termination Agreement (Canada) Agreement between a buyer and a seller of a property terminating the purchase agreement and releasing one another from all claims under the purchase agreement. Purchase Agreement Amendment (Canada) Agreement between a Buyer and a Seller of a property amending the terms of their Purchase Agreement. Agreement for Mutual Right of Way (Canada) Agreement between two parties agreeing to the establishment and use of a Mutual Right-of-Way. Estoppel Certificate (Canada) Certificate given by the tenant of a property to the landlord's mortgage lender confirming various aspects relating to the status of the lease. Grant of Right-of-Way (Canada) Agreement by one party to grant a right-of-way to another party. License to Use Right-of-Way (Canada) Agreement between a licensor and licensee permitting licensee to make use of a right-of-way. Permission to Access Property Temporarily (Canada) Permission to neighbour to access a portion of your property temporarily (letter format). Change Order (Canada) Change Order relating to a contract between a Contractor and a Principal whereby the two parties agree to a change in the original contract. Construction & Contractor Agreements Various forms and agreements to use when completing your construction project. General Contractor Agreement (Canada) This General Contractor Agreement is for use in Canada. This form will assist you in preparing an agreement with a general contractor for home repairs or improvements. Acknowledgements, Authorizations & Guarantees Various acknowledgments, authorizations and guarantees for use by both landlords and tenants. These legal forms are designed for use in Canada. Assignments Various assignments for use by both landlords and tenants. Building Maintenance Services Agreement (Canada) Agreement between a Landlord and a Contractor for the provision of Building Maintenance Services. Farm Lease Agreement - (Canada) Comprehensive farm lease agreement to be used when renting / leasing farming property. Residential Rental Application (Canada) This form requests information from a prospective tenant and grants the landlord the right to perform credit and other background checks. Storage & Occupancy Agreements Various forms for the creation of storage and occupancy arrangments. Sublease Agreements Commercial and Residential Sublease Agreements for use in most Canadian provinces. These forms are available for immediate download. Subordination and Surrender Agreements Various subordination and surrender agreements for use in all provinces except Quebec. Assignment of Mortgage - Absolute (Canada) Assignment (sale) by a mortgage lender (assignor) to a purchaser (assignee) of the mortgage lender's rights in a mortgage. Assignment of Mortgage as Security (Canada) Assignment by a Mortgage Lender (Assignor) to a creditor (as security) of the mortgage lender assigning all of the mortgage lender's rights in a mortgage. Assignment of Mortgage by Corporation (Canada) Assignment of mortgage from a mortgage holder (in this case a corporation) to a purchaser of the mortgage without recourse against mortgage holder. Discharge of Mortgage (Canada) Discharge to be signed by a mortgage lender once the mortgage has been repaid or satisfied. General Assignment of Rents - Security for Mortgage (Canada) General Assignment of rents given by an Assignor/Mortgagor to an Assignee/Mortgagee as collateral security for a Mortgage. Mortgage Amending Agreement (Canada) Agreement between a mortgage lender and a mortgage borrower amending the terms of the mortgage. Mortgage Assumption Agreement - Original Holder Liable (Canada) Agreement among a homeowner, a mortgage lender and a purchaser of the home allowing the purchaser to assume the existing mortgage on the home. Mortgage Discharge Statement (Canada) Statement given by a mortgage holder to the mortgagor (homeowner) setting out how much must be paid to discharge the mortgage. Mortgage Extension Agreement (Canada) Agreement between a Mortgage Lender (Mortgagee) and a Mortgage Borrower (Mortgagor) extending the term of the mortgage. Mortgage Status Statement (Canada) Statement given by a Mortgage Holder to the Mortgagor (Homeowner) confirming the amount owing on the Mortgage. Notice of Payout of Mortgage - Payment Amount Determined (Canada) Notice by mortgage borrower to mortgage lender notifying mortgage lender that mortgage will be paid out on a specific date. Postponement of Mortgage (Canada) Postponement of a mortgage by one mortgage lender to a subsequent mortgage lender giving the latter priority over the former. Notice of Payout of Mortgage (Canada) Notice by mortgage borrower to mortgage lender notifying mortgage lender that mortgage will be paid out on a specific date and requesting a payout statement. Indemnity from Buyer to Seller to Enter Property Before Closing (Canada) Indemnity Agreement given in situation where a buyer of a home requests access to a home before the closing has occurred. Release of Interest in Insurance Policy (Canada) Release of interest in insurance policy relating to a property (letter format). Release of Interest in Property (Canada) Release and quitclaim of an interest in a property.